Reston Limousine was once again honored this year to be voted Loudoun’s Favorite Limo Company/Car Service by the readers of Loudoun Now! All throughout the month of June, Loudoun Now asked their readers to reccomend their favorite places, people and businesses, and the responses were abundant! More than 5,000 nominations were submitted in the poll’s 200+ categories-double the number of nominations submitted in 2017. 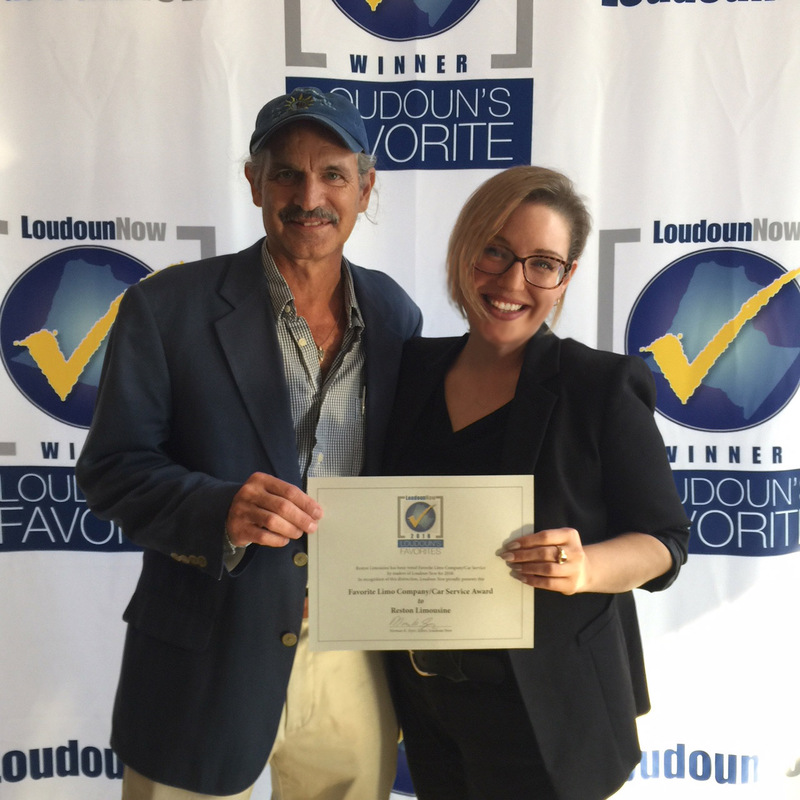 Voting ended June 30 and Reston Limousine again received the title of Loudoun Now’s Favorite Limousine/Car Service compnay! Anna Wilkinson, Marketing Manager, accepted the award on behalf of Reston Limousine. An enormous thank you to all who voted and of course, to Loudoun Now! We promise Reston Limousine will continue to exceed your expectations!